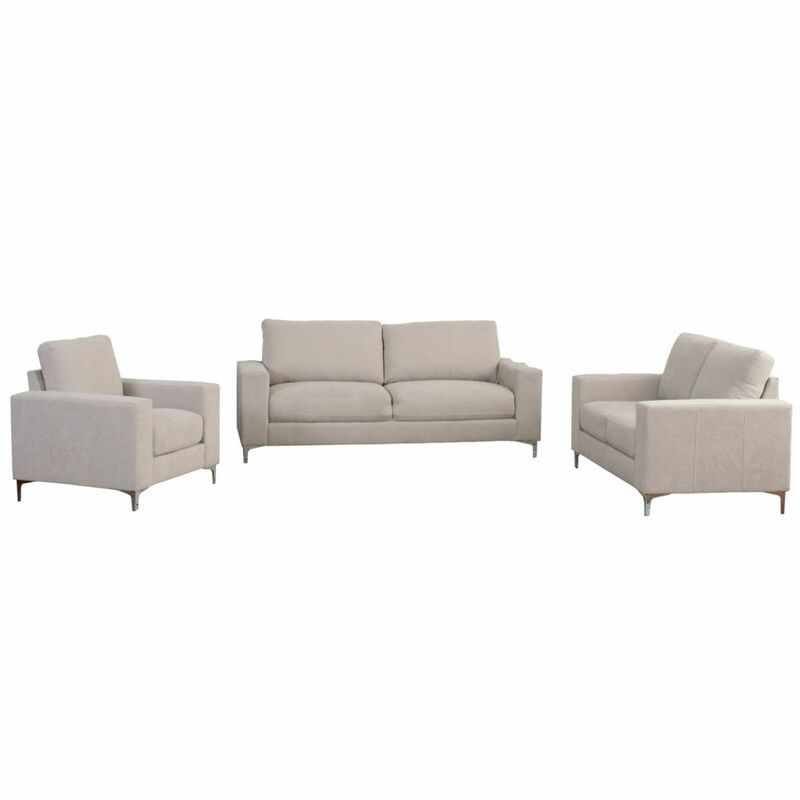 Cory 3-Piece Contemporary Beige Chenille Fabric Sofa Set Create a welcoming home with this sculptural sofa set, featuring fluid lines and a soft touch chenille fabric, exuding a sense of warmth that invites you to sit and relax. The generously padded cushions and armrests create a cozy look, making this sofa set ideal for those who value design and comfort. Includes a chair, loveseat, and sofa. This visually stunning set is undeniably comfortable, making it easy to create an inspiring home.